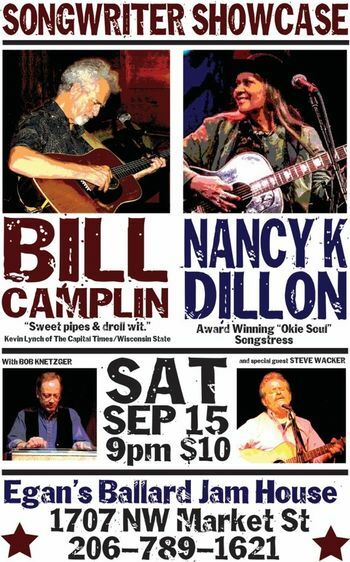 Americana Singer/Songwriter Showcase: award-winning songstress Nancy K Dillon and legendary Wisconsin folksinger Bill Camplin team up for a special evening of new songs and old favorites. Backed by pedal steel player Bob Knetzger and with special guest Steve Wacker. Over 200 years of musical excellence!